Up North Communications was invited to develop the branding, sales and marketing literature for a new building which provides flexible managed office space to small and medium sized businesses. 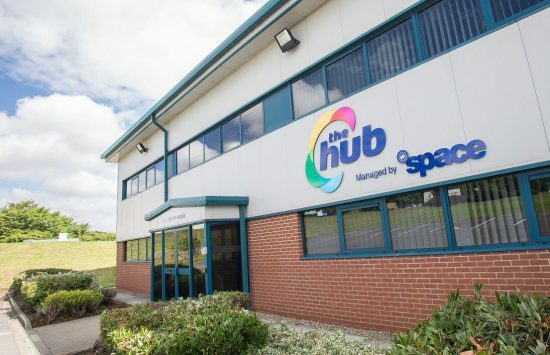 Part of the North East Business and Innovation Centre (BIC), The Hub based in Washington, Tyne and Wear provides 17 modern offices with a provision for meeting space, communal facilities as well as advice and help to start-up and established businesses. Our brief was to develop a modern logo / brand identity for The Hub that could be implemented across different marketing and advertising platforms. We developed a marketing strategy, created the logo and developed all the relevant sales and information leaflets for the centre including each individual unit, stationery, office signage and the website. 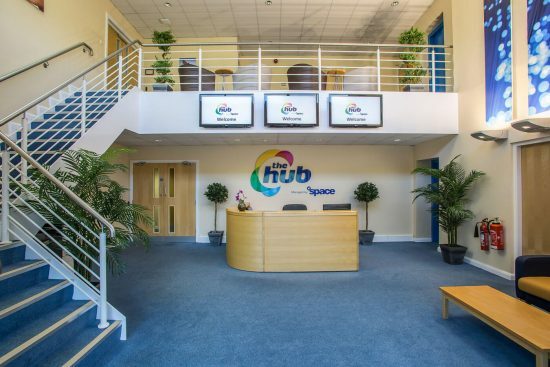 We have also written and issued press releases and managed The Hub’s social media on Twitter. The offices opened in July 2015 and were at full capacity within twelve months. Up North Communications also decided to locate its own business at The Hub and was actually the first tenant to move into the building.